MAXIMUM EFFICIENCY - MINIMUM NOISE. 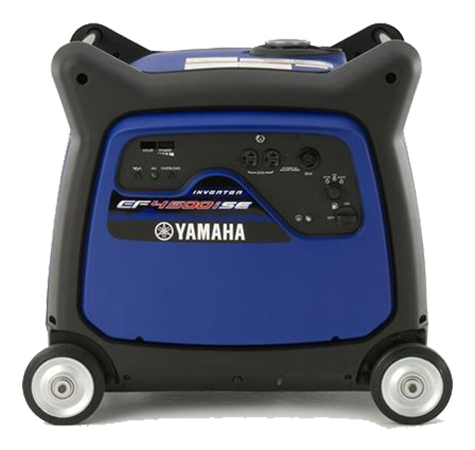 The powerful engine allows this inverter to run at very low engine speed, reducing fuel consumption, noise, vibration and wear. 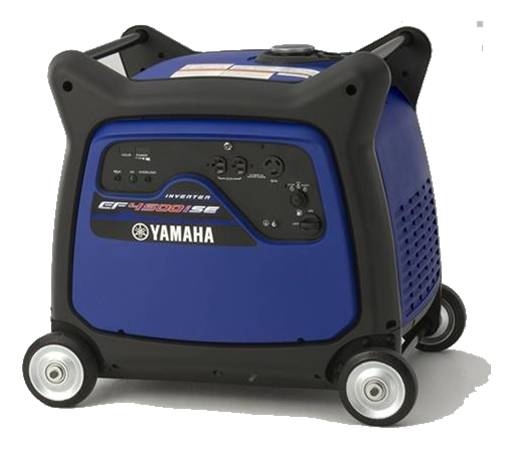 4500 watt maximum output, 4000 watt rated continuous output —Suitable for running most 15,000 BTU RV air conditioners and 1000 watt microwave oven, or two major RV appliances simultaneously. Noise Block sound reduction system — Very quiet 58-60 decibels. Low speed running — Using the most powerful engine in its class to run at a constant ultra low speed of 2600 rpm to reduce gasoline consumption, extend running time between refueling and reduce noise and engine wear. Up to 15.2 hours running time at one quarter rated load between refueling. Pulse Width Modulation Inverter System — Sine wave as clean as or cleaner than household electricity. Suitable for computers, televisions, satellite TV systems and other sensitive electronic equipment and appliances. 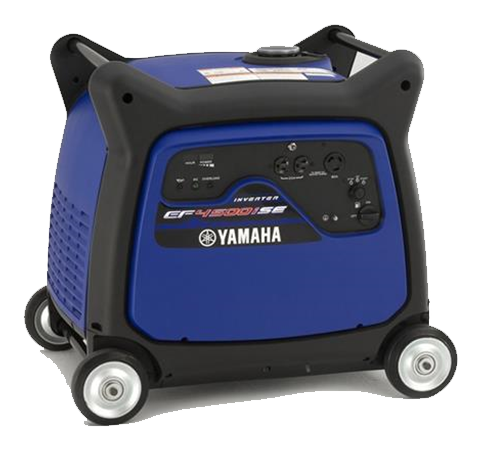 Optional wireless remote control — Start and stop the generator from up to 66 feet away. Electric start — Effortless turn the key to start. Automatic choke — Easy starting even in cold climates. Low oil warning system — Shuts the engine off to protect the engine if the oil level drops. Power meter — Easy to read meter indicates the amount of power being used and the amount that’s available. Hour meter — Displays the amount of running time accumulated to indicate servicing or refueling interval. Twin bar — Aids in lifting and loading. Also utilize for transport and anti-theft security. Gas gauge — Indicates amount of gasoline to indicate refueling interval. Stylish design — Attractive and practical. Four wheels with parking brake — Easy transport and security. The EF4500iSE picks up where our extremely successful EF3000iSEB leaves off, with even more power and fuel efficiency in a quiet, portable package. 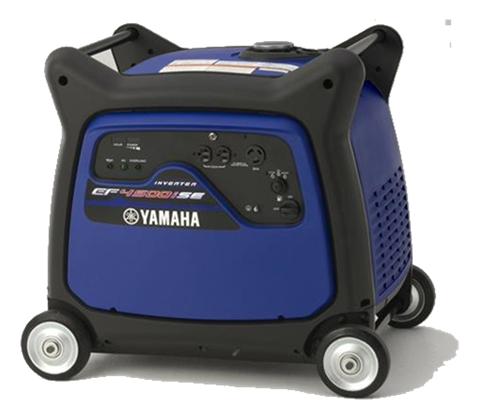 Designed for maximum fuel efficiency and minimum noise, its super-powerful engine allows it to run at the very low engine speed of just 2600 rpm - 1000 rpm lower than other generators it its class. That slow engine speed pays off big time in reduced fuel consumption as well as less noise, vibration, and engine wear. Up to 15.2 hours run time ant 1/4 rated load. 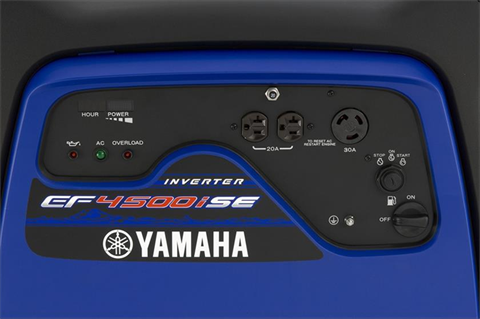 The EF4500iSE features Noise Block sound reduction system which makes it a very quiet generator for its output. 58-60 decibels. 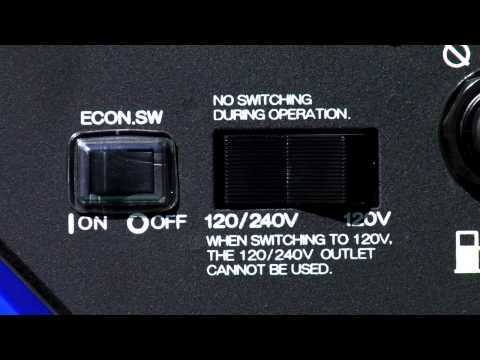 4500 watt maximum output, 4000 watt rated continuous output suitable for running most 15,000 BTU RV air conditioners and 1000 watt microwave oven, or two major RV appliances, simultaneously. Electric start makes starting effortless-turn the key to start and power appliances you want and you can add an optional wireless remote control for easier starting.